Mongravey. 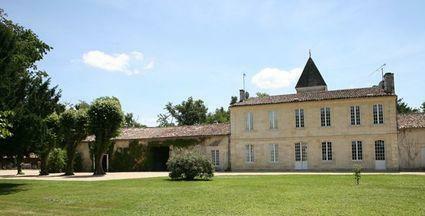 Karin & Regis also own Château De Braude, an outstanding Haut-Médoc, that was also classified Cru Bourgeois in 2003. In 2003, Mongravey was one of a handful of estates that became classified as "Cru Bourgeois" in the 2003 Médoc classification (over 250 estates were de-classified the same year). "A gentle violet edge frames pretty red cherry and plum fruit flavors, with hints of lilac and black tea on the slightly trim finish. A good effort for the vintage. Drink now through 2017. Wine Enthusiast 92 "Initially, Mongravey often seems to use too much wood. With this 2012, although there are big wood tannins, the fruit is up to the challenge. The result is a rich wine that has weight, black berry fruits and a dark core. It needs to age; wait until 2018." Wine Spectator 88Offers pretty lilac and black tea aromas, with supple plum sauce, currant preserves and black cherry fruit at the core. Velvety and elegant through the finish. Drink now through 2016. Wine Spectator 91"Aromatic, with lilac and warm cherry notes giving way to flavors of crushed plum, blackberry coulis and roasted alder wood. Features good grip through the finish. Cabernet Sauvignon, Merlot and Cabernet Franc. "